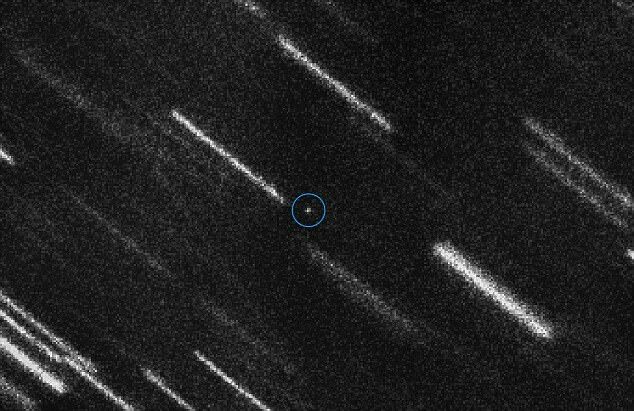 Yesterday, an asteroid estimated to be up to 100 feet wide made a close shave with Earth, as it soared past at a distance of just 27,000 miles above the surface – or, as some scientists have put it, 'damn close.' 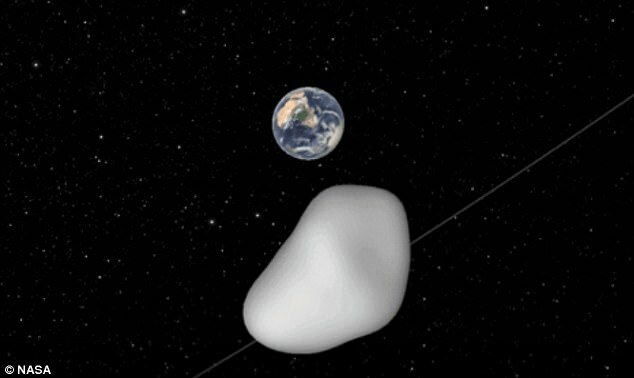 The house-sized space rock, dubbed asteroid 2012 TC4, is about 30-100 feet (10-30 metres) in size, and flew by at just one-eighth of the distance between Earth and the moon. Following yesterday's pass, the asteroid's next 'close-approaches' to Earth will take place in 2019, 2050 and 2079. 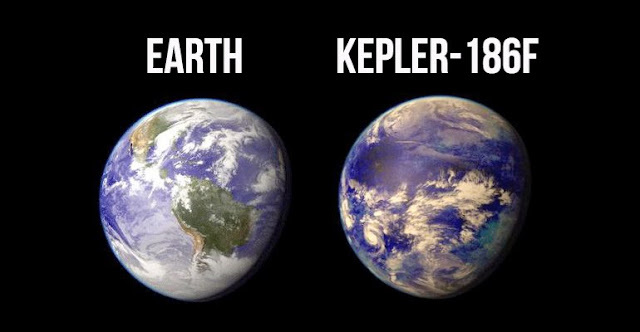 And while 2012 TC4 is expected to miss our planet in 2019 and 2050, experts say that in 2079 we may not be so lucky. 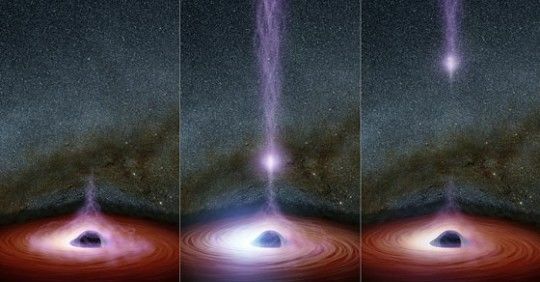 During yesterday's close approach, NASA had the opportunity to test its network of observatories for its planetary defense system, in the event an asteroid did actually hit Earth. The space agency is yet to confirm that it was able to test the system. Speaking before the asteroid passed by, Dr Michael Kelly, a scientist working on the Nasa TC4 observation campaign, said: 'Scientists have always appreciated knowing when an asteroid will make a close approach to and safely pass the Earth because they can make preparations to collect data to characterise and learn as much as possible about it. They expected the asteroid to return for a near-Earth rendezvous this year, but did not know just how close it would come. 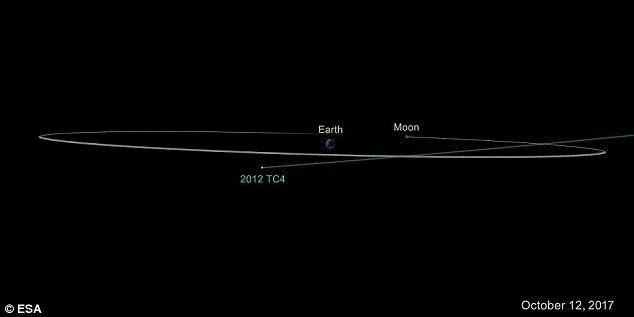 The latest observations, made on July 27, 31, and then again on August 5, revealed 2012 TC4 would pass within one eighth of the moon's distance from the planet. During the pass, it shaved past Earth at a distance of around 44,000 kilometres (27,300 miles) - far enough out to just miss our geostationary satellites, according to calculations. 'It's damn close,' said Rolf Densing, who heads the European Space Operations Centre in Darmstadt, Germany. 'The farthest satellites are 36,000 kilometres (22,400 miles) out, so this is indeed a close miss,' he said. 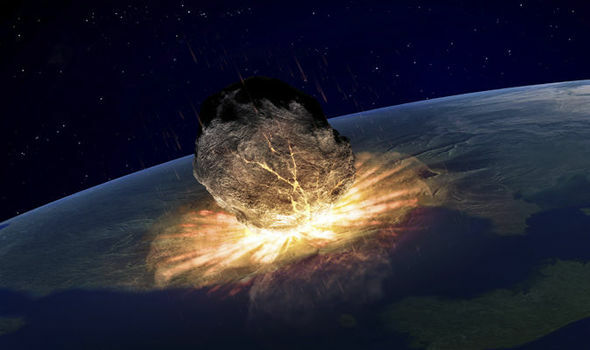 If the asteroid did hit Earth, it could have ultimately led to a much more high devastating level of impact than the 18 meter (59 foot) asteroid that hit the city of Chelyabinsk in Russia in 2013. If it had made impact with Earth's atmosphere, scientists predicted the space rock would burn up before hitting the surface. During the pass, NASA hoped to use its international network of observatories to recover, track and characterize 2012 TC4.